3SQFT Inc. is owned and operated by CJ (Christopher Iannuzzi) and has been in business in the Miami / Miami Beach area for over 25 years! CJ personally meets with clients to discuss their needs and most importantly the functionality and aesthetic of minor to major renovations. He has a keen eye for detail, a wealth of knowledge of products and materials, and a commitment to craftsmanship. Whether new, referral, or repeat client CJ always gives his undivided attention and dedication. 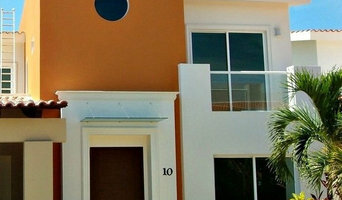 This sets him apart from other businesses in South Florida. 3SQFT provides its professional services for commercial, residential and nautical properties. Contact us today to get started on your next project! N.E FIRST CLASS INTERIOR FINISHER .INC is a remodeling company owned and run by Nicolas Etienne. Nicolas has been working in the remodeling industry since 1999. He began his remodeling carrier around the age of ten as a tool fetcher for his family company. N.E FIRST CLASS INTERIOR FINISHER .INC is a full service remodeling company that offers abroad range of remodeling luxury home, condos, and retail stores. We are a remodeling company owned and run by Nicolas Etienne. Nicolas has been working in the remodeling industry since 1999. We offer abroad range of remodeling services for commercials, residencials! We are a small company dedicated to provide the best service with quality home repairs and improvements. My brother, Paul and I (Tim), have over 30 years carpentry experience between us. We are fourth generation carpenters. The combined knowledge we bring to the job is the reason our workmanship and quality surpass the competition. Check out the client galleries in our website for examples of our work. All work and customer satisfaction is guaranteed. We are a full-service architectural woodworking firm, providing custom, hand made quality woodwork to residential, and commercial clients in South Florida. We can remodel your kitchen, bathroom, or new construction project in your home or high-tech office. Our licensed cabinet makers and expert builders are dedicated to working with you to implement a solution that meets your needs. We are dedicated to the basic principals of quality, service, honesty and integrity. 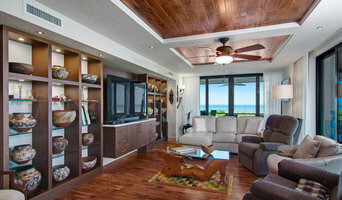 South Florida's Luxury Custom Woodwork Professionals Best of Houzz! Finish Carpentry and Fine Woodworking. Have been working at carpentry and woodworking for over thirty five (35) years. Certified Historical Restoration Specialist. If it has to do with wood and you require attention to detail please call for an estimate. Custom Furniture. Woodwork and Upholstery. We design and manufacture all you can need to personalize your own spaces. We serve residential and commercial projects. In our company the goal is to use all of our knowledge in design, architecture, furniture, upholstery and woodwork to fulfill your imaginative aspirations. In ROA Custom Furniture, we can also renew spaces that you considered lost or forgotten and we convert the sketches in your mind into exclusive products. Mark's Custom Woodwork has been providing quality, high-end, handcrafted furniture and cabinets to the South Florida market since 1994. We design and build custom furniture for Residential and Commercial projects to fit your specific needs and style. We specialize in entertainment centers, home offices, contemporary furniture, decorative woodwork and molding, handcrafted bathroom and kitchen cabinetry. Our goal is to provide you with a product that is not only a unique piece of art, but is also something that matches your personal needs and specifications. Living Area Solutions specializes in residential and commercial architectural mill work. We design, manufacture and install interior and exterior masterpieces adding value to every property. We also represent international designer furniture brands, from Europe and South America. Helping our clients fulfill all the furniture needs for their projects: Kitchens, vanities, living room, dining room, bedrooms, outdoors and commercial grade. We hope to hear from you. 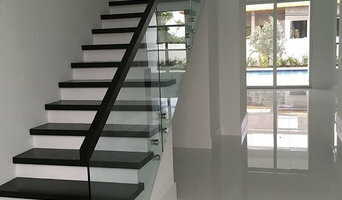 The work of carpenters in Miami, FL is wide and varied, so many choose to specialise in a particular line of work. Any qualified carpenter in Miami, FL should be able to perform general carpentry work involving framing and the installation and repair of timber structures and fixtures, while other jobs may require a specialist. Scroll through this page to find carpenters and woodworkers in Miami, FL. You can browse their latest projects, read reviews and see how other homeowners rate their work, and message them directly.